The incumbent chairman of Estonia's Center Party, Edgar Savisaar, announced on Friday that he will not attend the party's extraordinary congress on Saturday and is asking his supporters to vote for Yana Toom at the chairman election, at the same time stressing that he will not withdraw from politics and will definitely continue in the Center Party. "The Center Party, which we created 25 years ago, has become the most important factor in Estonian politics. The Center Party has also become the focal point of all eyes. I invite all participants of the congress not to forget the values which the Center Party has always stood for -- we have protected people from the injustice of the elite, defended the weak and fought against those who take advantage of their strong position. Harsh times have not torn us apart, but have instead brought us together," Savisaar said on social media. 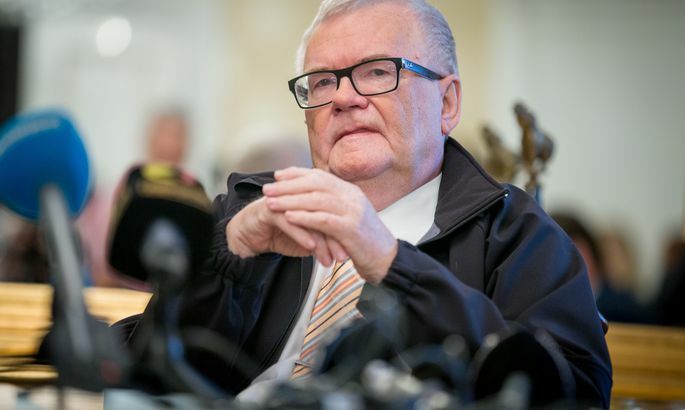 According to Savisaar it is sad to see that the people who convened the extraordinary congress -- Simson, Reps, Ratas and others -- have turned away from the Center Party's way of thinking and are trying to get points with personal attacks. "I don't want to make the Center Party congress a farce, so I see no way for me to participate tomorrow," he said. He invited members of the Center Party to vote for Yana Toom. According to Savisaar the party must not lose its face and voters. "Empty words about unity, friendliness and there being no camps in the Center Party are worth nothing. A clear understanding of the party's future steps has to be formed at the congress," Savisaar said, adding that the Center Party is still the most popular party in Estonia. Savisaar stressed that he is not intending to leave politics. "But I don't consider necessary participating in a congress of the friends of Ratas, the result of which has already been decided. The fact that I won't attend the congress this time does not mean that the next congress will also be held without me," he said.